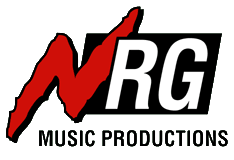 At NRG Music Productions we SPECIALIZE in weddings and special events! That's our thing! We guarantee to make your wedding the perfect celebration. Having performed hundreds of weddings, we can offer you our experience, our know-how, and of course our HIGH ENERGY! - We bring excellent working relationships with all of the wedding and banquet facilities in Alberta's Bow Valley to Ottawa and the National Capital Region! - We are well aquainted with the layouts of the facilities, and understand exactly what it takes to create a perfect night of high energy entertainment there! - We will work very closely with you to make sure that all your musical needs are met, and that the evening relfects you and your special day perfectly! On your special day we want you to relax and take for granted that you and your guests will enjoy an elegant evening filled with HIGH ENERGY sound, your style! NRG Music Productions will take away the worry and help you make this special day truly memorable! "I just wanted to say thank you so much for such an amazing dance party at my wedding. You did such a good job at keeping the party going, no one wanted to leave! Exactly what I wanted. Also, thanks for making the slideshow work when we forgot to bring a laptop to play it from. Awesome service!!" "We had a fantastic party thanks to the music provided!!! Every thing was perfect. "Thank you so much for being our Wedding DJ! All our guests had the best time on the dancefloor! You were so organized and professional the entire time, would 100% use you again, (although, let's hope not for us haha)! Anyways, we are so appreciative & thankful for all your hard work & making our special day so great!"